Covering Antarctic news and views from New Zealand, and around the world. 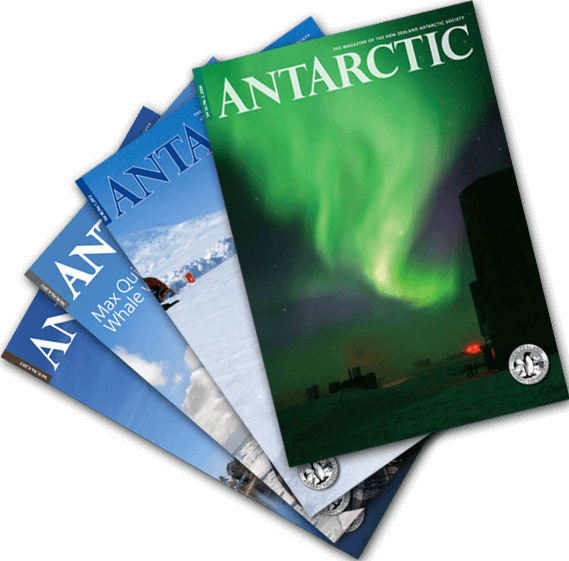 Antarctic is a uniquely broad-ranging publication supplied free to all members of the Society, and also available on subscription. First published in 1956, and issued four times per year, Antarctic covers international science, Antarctic heritage, tourism, news from national Antarctic programmes, book reviews, and tributes.